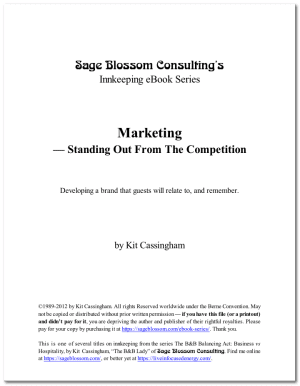 All of Kit Cassingham’s B&B/Boutique Hotel eBooks at the biggest discount available, and an otherwise-unavailable bonus book. 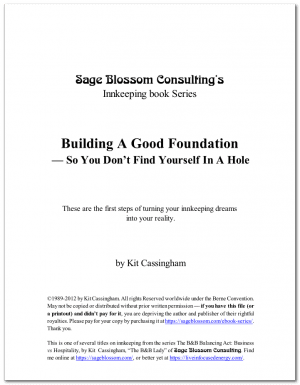 All of Kit Cassingham’s eBooks in one “Zip File” bundle for easy downloading. 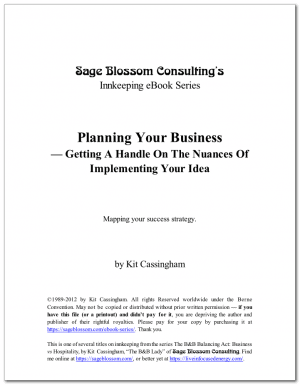 Read on your computer or print the PDF files. Perform some early due diligence and conduct a visual inspection as you review the properties that can work for your B&B. This checklist doesn’t replace a professional inspection, but it can help you save time and money by highlighting the “lemons” and “cherries”. If you find a “lemon” you can keep moving without spending the time writing an offer having an inspection done. If you find a “cherry” you can proceed with your purchase. 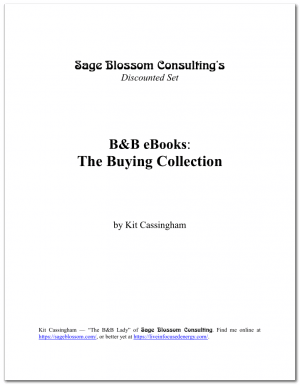 This Quick Guide gives you the tool you need to screen B&Bs as you look so you won’t have surprises later. 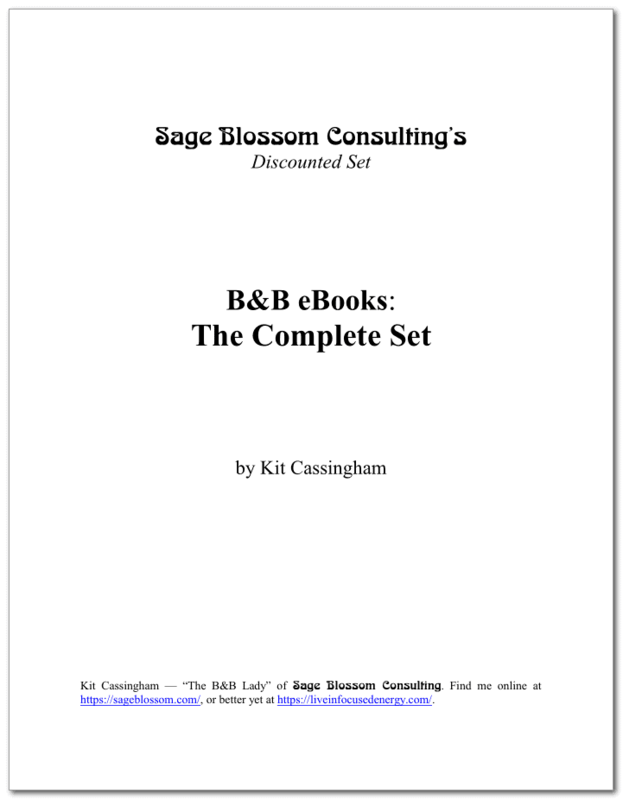 Special Bonus: Cooking in the “B&B Lady’s” Kitchen — Kit’s personal B&B cookbook, a $9.97 value.